A late Victorian/Early Edwardian door, fully morticed and tenoned and in solid pine. 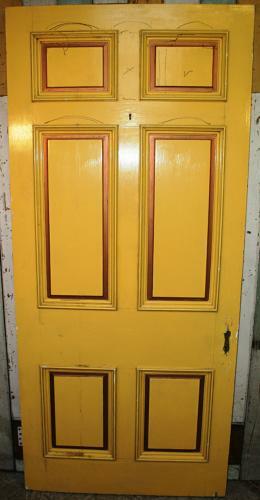 This classic, 6 panel door is in Georgian style, the panels are raised and fielded with bolection mouldings on both faces and the paint quality is good. Suitable for internal/external use.